なにがしか。: Stellaris Legend of Galactic Heroes Ships MOD English description. 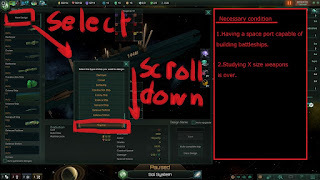 Stellaris Legend of Galactic Heroes Ships MOD English description. Additional Legend of Garactic Heros spaceships. ・If you want build flagship class. ・Having a space port capable of building battleships. ・Research X size weapons is over. If the above two points are satisfied, the flagship class can be selected. This version have various problems. -Laser beam,Missile,Buttet fire from ship of middle. -Can not see Middle,Stern shipbuilder. -Can not see turret,missile pod. -Someting wrong engine glow and wake. The reason is that I can not use MAYA. I am using blender for 3Dmodeling and Jorodox for export to ".mesh". The locator is lost when exporting. I tryed many ways(ex,write to binary) but I could not find good one. To solve that, I need to use Paradox MAYA exportor, but I do not have MAYA. Or Buy MAYA(3Years@$5,500!! ).It seems impossible. Hopefully Paradox will release Blender Exportor. It is so distinctive how the gloss and the metal lighting are made in this game. I make the texture by using Photoshop. I do not know how much level change channnels in specular,normal. To check the results,I have to start up,check,change,start up,loop..It takes long time. If you know some good and easy ways, please let me know (attach photos or web pages if possible). -Add some ships while avoiding my daughter's mischief. -Improve quality while cutting sleep time. hello , im playing stellaris 1.9 now, any chance to get Legend of Galactic Heroes Ships 1.9 version? Have you tried manually changing the version of the mod? It should at least let you start using the mod. Try it first without any other mod to see if it crashes or works properly. Hi, could you please give me the 3D model you used? I want to 3D print them into a figure.